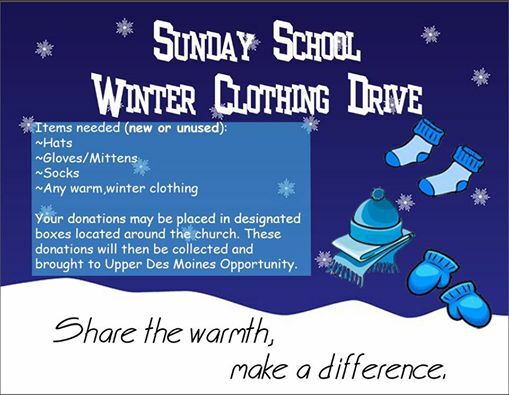 Sunday School Winter Clothing Drive = HUGE Success! 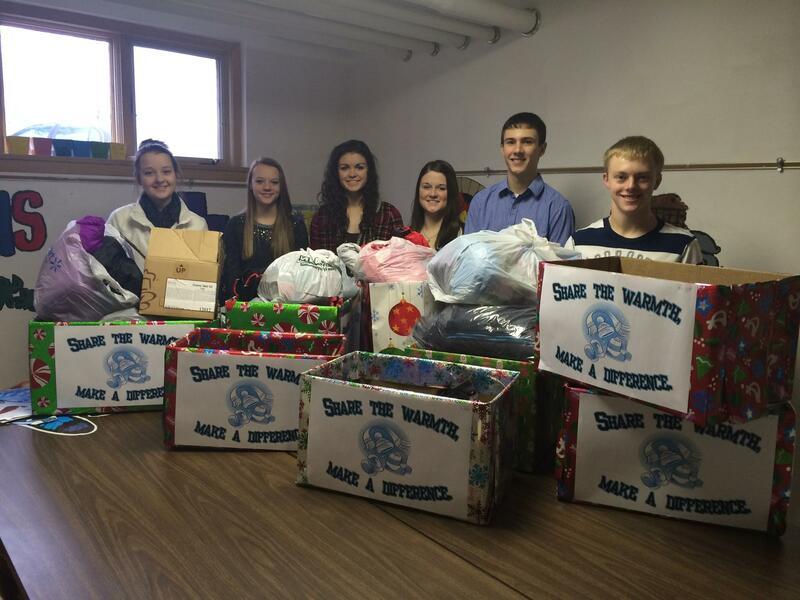 The Senior High Sunday School Class at the Pocahontas Center spearheaded a Winter Clothing Drive at our church. They challenged each class to see who could bring the most items to help make a difference. They even involved the congregation by putting a box on each side of the aisle, and challenged us to see which side would bring more items. All in all, Share the Warmth was a huge success! The Sr. High class reported how many hats, gloves, coats, sweatpants, etc were all donated and taken to the Upper Des Moines Office in Pocahontas. They were also very diplomatic by declaring that it was a tie between both sides of the congregation! And a special thanks to the Sr. High Sunday School Class for being such great examples of Christ by organizing this heart (and hands and feet!) warming project! You rock!! May your Christmas be blessed with family, friends, and the love of Christ. Remember, he is the best GIFT of all…. share him this holy season! As we get into the hustle and bustle of the holidays, please don’t forget the true reason for the this holy season. As we enter Advent, please take a minute to sit back and enjoy this beautiful rendition of a familiar song. And take time to reflect on the greatest gift of all… Jesus wrapping himself up as an infant child so we can someday go to heaven to be with him. Now that’s what I call the perfect gift!! So, when you are feeling overwhelmed by your holiday “to do” list, come back and listen to this song again…. it certainly helps put things back into perspective! Let us wait with expectant hearts of joy for our coming King!